(Trenton, NJ) – 4M Web Design, is proud to announce the unveiling of the Mercer Alliance to End Homelessness’ new blog, located at http://www.mercerallianceblog.org. For those not located in New Jersey, the mission of the Mercer Alliance to End Homelessness is to ensure that every resident of Mercer County has access to permanent, affordable and safe housing. After working for years with the Mercer Alliance to End Homelessness on their website, the Alliance was interested in building a Blog where they could reach out to fellow advocates, and foster a collaborative relationship to produce affordable housing needed in all the towns of Mercer County. The process started with a Needs Analyst and Planning Meeting. We analyzed how and what their target audience needed from their new blog. We used all of this information to complete a full visual design of the web site, and developed the site to make it easier for advocates on both traditional screens and on mobile devices to use. The blog is easy to update and is maintained by Alliance staff. There is no need to involve an IT person to make changes or add content. The site uses WordPress to control all of the site content, and integrates with an internal database. Below is an article I originally wrote for my Independent Music Roundtable blog. As I was re-reading the post, I thought it would be interesting to share here. 1. How has your industry changed in the last 25 years? 2. How did your industry used to market itself before the internet? 3. How is your industry marketing itself now? 4. How can you apply the ingenuity below to your business? As I sat down to read my new posts in my Google Reader account, I went through my normal routine; grab a drink, throw bag of pop corn in microwave, get bowl, listen for those glorious kernels to slow down and stop the microwave before it burns. As I sat there waiting for my treat I had a thought, how far pop corn has come in 25 years and how Mr. Redenbacher had to re-invent his product. Think about how people used to make pop-corn 25 years ago. Ah! No microwaves! Well, there were microwaves, but they were so expensive not many people had them. Pop corn used to be a Friday night treat, mom would drag the old pop corn machine out from underneath the counter, pour in the kernels, put the top on, start the popper and finally popping. What do we do now? Put the bag in the old microwave; hit the “Pop Corn” button and viola! Pop Corn!! 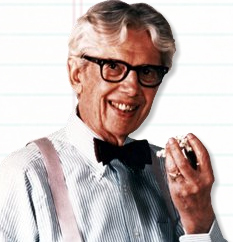 Orville Redenbacher started selling his first pop corn brand in 1969, by 1989 it was all about microwave pop corn. So what did he do? He put out a TV ad announcing his brand new microwave pop corn with his grandson, Gary. Then, in 1992 he started Smart Pop to meet the demand of health conscious snackers. What does this have to do with the Music Industry? A LOT!! Think about how people used to buy music; full length Albums, Tapes, CD’s, whatever. How do most of us get music today, ITunes, song by song. Say the pop corn is your music, a pop corn machine is a CD and a microwave is ITunes. Your job is to grow, sell and promote Pop Corn not the machine, the Music Industry’s job is to build, sell and promote the machine not Pop Corn. Major Record Labels sold plastic discs, not music! This is why Major Record Labels are loosing! They need to stop selling pop corn machines to a world where everyone uses microwaves. This is also the reason independent artists are thriving; they’re still just selling the pop corn!!! Just like Mr. Redenbacher had to change and adapt his products to keep up with technology, Major Record Labels need to do the same, instead of fighting it! !